Hosted with Nenette's Chocolates, whose delicious chocolates fit perfectly well with our wines. A chance to sample 5 wines and 5 chocolates - we shall work out which flavours work with each wine. A tour of the vineyard is included. Nenette has been hand making chocolates for more than five years. Her life-long passion for eating chocolate developed into one for making it with the guidance of Slattery’s in Manchester and an award-winning Swiss chocolatier, Carlo Melchior, in Devon. 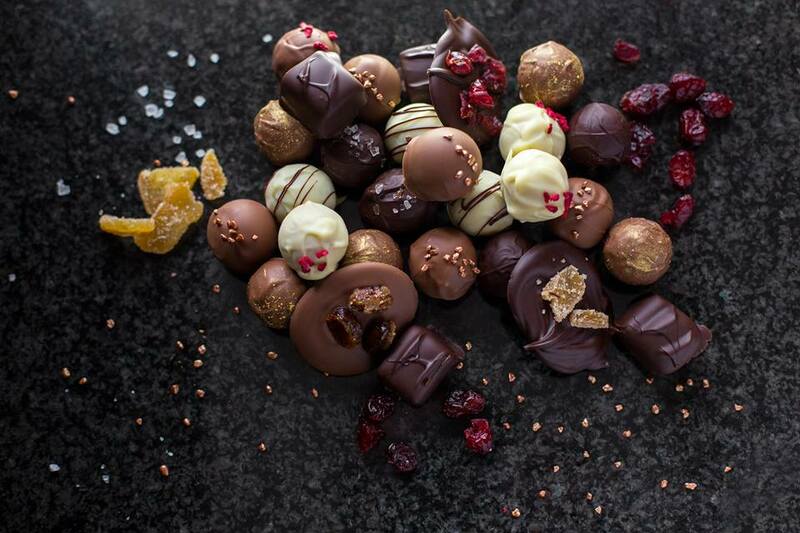 Using only the finest ingredients including fruits and herbs grown in her garden and selected from local hedgerows, she has created an extensive range of fresh handmade truffles: choose from dark, milk and white chocolate. These include champagne, orange and brandy, ginger salted caramel, whiskey and various fruits including balsamic strawberry, raspberry and kirsch and sloe gin. And not forgetting simple, rich, dark chocolate truffles – which might be left unadulterated or flavoured with garden mint or basil. Nenette is always exploring and developing different flavours and her selection changes with the seasons: with the availability of the freshest ingredients. These delicate, imaginative flavour combinations are designed to make your taste buds come alive. Paired with Brynne Vineyard wines it's a treat not to be missed!